"Golden Willow Care Services matches its clients with Qualified, experienced and trusted carers for all care needs. If you believe that you or your loved one can benefit from our quality care services then please contact us on 0207164 6632 ." At Golden Willow Care Services we pride ourselves on the quality care services our trusted and experienced carers provide. Our care services cater to all needs in the comfort of your own home. Golden Willow Care Services specialises in providing 24-hour Live in care and Home care services in the comfort of all clients homes. 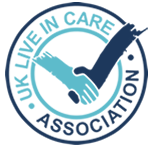 With our offices and quality care teams located in London, Berkshire, Kent,Cambridgeshire and Hertfordshire means we are in position to provide trusted, experienced and qualified carers for all Home care needs. Through our dedicated care practices, the main aim is to help our elderly clients maintain independence in their homes at an affordable rate. We provide care organisations with qualified, experienced, high quality carers,healthcare assistants,nurses and support workers at affordable rates, often at very short notice. We aim to save all clients both time and money. We react quickly to your requests and provide you with reliable and experienced carers meeting your requirements. UK surveys show that a high percentage of elderly people prefer staying in their homes than going into care homes. Our Live in care services are tailored to enable these clients to continue living independent lives 24/7 in the comfort of their homes and within known surrounding and social life.